I have always been skeptical about painting vases, but I love the way these look! 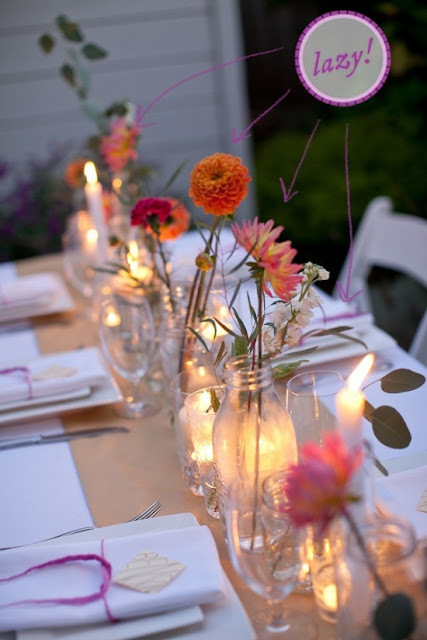 How cute is this arrangement? And that's a soap dish y'all! I am loving this simple, modern, chic (and cheap!) 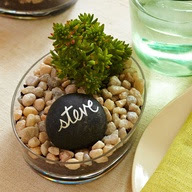 centerpiece idea. 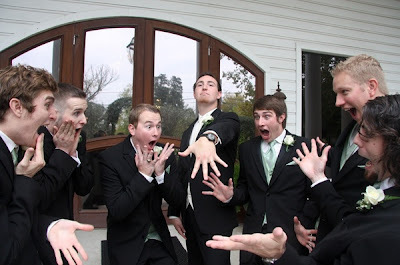 Maybe my favorite groomsmen pic ever. 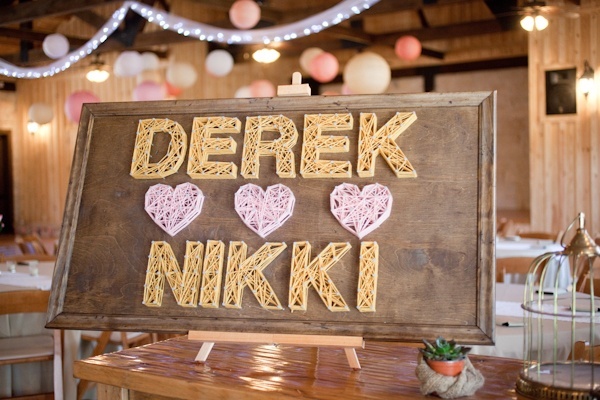 Love this sign and it's a great DIY project. Pretty, simple and easy. Love it! There ya have it! Happy Pinterest Tuesday! Gorgeous! 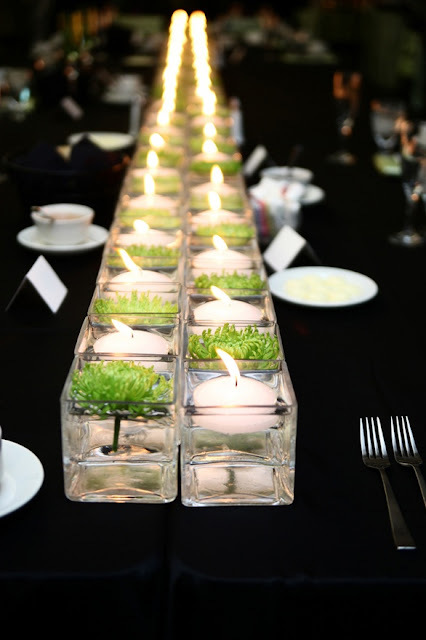 Love the simple clean centerpieces. And that groom picture...awesome.